There is nothing quite like helping someone to make their first robot, and observing their jubilation when it is pulled off without many glitches. Some of us had that experience at the hands-on workshop we organized at the Bengal College of Engineering and Technology, Durgapur, on the 7th and the 8th of April. Over that weekend, we oversaw the successful running of 32 autonomous robots and 50 manually controlled robots. On the first day, there were theoretical classes. The first session covered an introduction to autonomous robotics, along with detailed instructions for making a basic line follower, including the principle behind it, the assembly, and the programming involved. This was followed by another session which had an introduction to the basics of manual robotics; the differential drive for locomotion, as well as other important mechanisms for performing certain fundamental tasks. There was ample interaction with the audience, along with an extensive clearing of relevant doubts. ** **The second day saw a day-long hands-on session with the participants, where many, if not all of them, got their first taste of working with robotics accessories. The various components were displayed and explained. Each team in the autonomous workshop was given a kit for making a line follower, which had been arranged for by the organizing college. They were shown how to assemble it and were helped to do the same. Elsewhere, the teams who had made differential drives were assisted and supervised. The minor problems and issues were patiently observed and worked out by our team, so things in general moved quite smoothly. In the afternoon, the rooms in the building where the workshop was being conducted were abuzz with the sound of robots moving about, and their makers jubilant at their success. There were 32 teams in the autonomous workshop that saw their line followers running nicely over white lines on black surfaces, while the 50 teams in the manual workshop manoeuvred their differential drives around the room. A small event was also arranged to find out which team could control their differential drive best, while steering it over inclined surfaces. The workshop at BCET Durgapur was a resounding success, and we were privileged to be able to introduce so many students to the wonderful world of robotics. The enthusiasm of the students as well as the persistence of the organisers was very heartening to observe, and we hope they will continue to keep their passion alive. 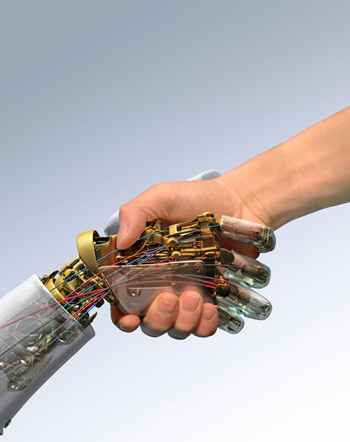 We here at Technology Robotix Society, will always be a call away for any help and assistance.